The beautiful shiny red jewel-like seeds of the pomegranate fruit (Punica granatum) are as beneficial as they are visually appealing. Described in the Christian Bible as a healing food and revered as a ‘divine fruit’ in many cultures, pomegranate provides a surprisingly wide variety of benefits. Each pomegranate contains approximately 600 seeds (officially called ‘arils’) and it takes more than 200 pounds of fresh pomegranate seeds to produce a single pound of oil. Benefits of pomegranate seed oil. Pomegranate seed oil is an effective ingredient in natural skincare remedies. It is rich in antioxidants (puninic acid and the flavenoid ellagic acid) and polyphenols, which protect the skin from harmful free radicals and UV damage, preventing accelerated ageing (i.e. increased facial elasticity and fewer wrinkles!). Furthermore, its anti-inflammatory nature can benefit conditions such as eczema, psoriasis and rosacea. An amazing product for skincare. The omega 5 fatty acids in pomegranate seed oil lend themselves to inclusion in hair care products as they strengthen the hair follicle encouraging healthier and less frizzy looking hair, as well as a more nourished scalp. Pomegranate seed oil can also be mixed with other massage oil carriers such as argan oil or rosehip oil; its anti-inflammatory properties will soothe aches and pains. Pomegranate oil can also be effective in minimising the appearance of stretchmarks and acne scars as well as soothing the aftereffects of sunburn or cracked heels. Nutritionally, pomegranate seeds also contain Vitamin C, Vitamin K, folate, potassium, vitamin B6 and phosphorus. Combined with its antioxidant and anti-inflammatory properties, this provides a potent arsenal of health benefits. Pomegranate oil has shown benefits in those with arthritis, high cholesterol and high blood pressure. It may also improve menopausal symptoms such as hot flushes and protect against memory loss and the development of Alzheimer’s disease. There is even some evidence suggesting that pomegranate slows prostate cancer! 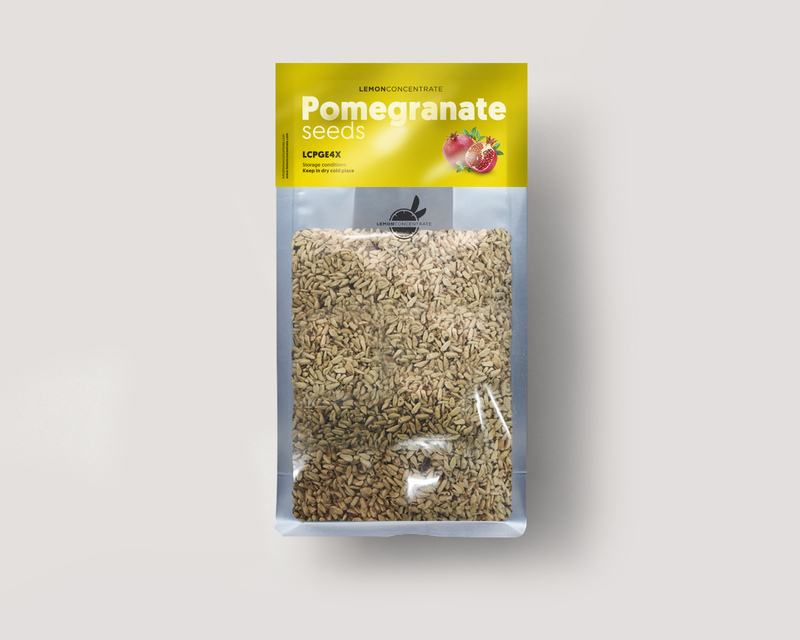 If you are interested in dry pomegranate products, you can find a wide range in our catalogue, such as Dry Pomegranate Seeds, Dry Pomegranate Seeds Clean, Dry Pomegranate Peel, Dry Pomegranate Peel Powder or Dry Pomegranate Fruit Cuts. For more information you can contact us and we will happy to assist you.